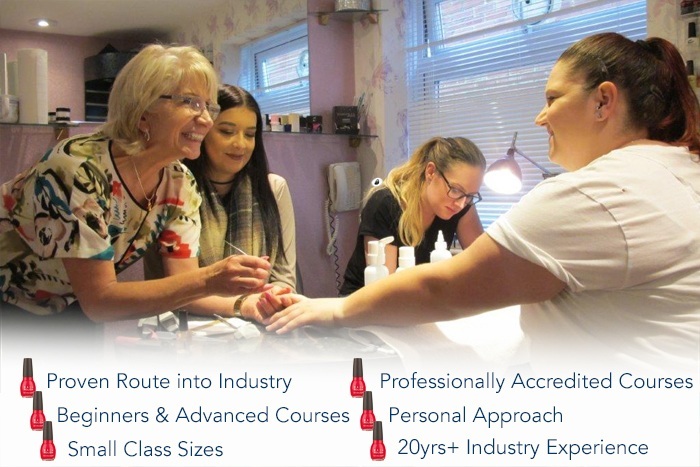 Training in manicure and pedicure gives you a luxury client service option and is also the perfect preparation for the application of any soak off gel polish such as:- INK, Gelish, Shellac, Gellux, Artistic and IBD. Add a little nail art for a stand out all round service. In the morning you will be taught all the basics of natural hand and nail care including hand and arm massage sequences and the full manicure procedure. We will start our second day with a re-cap from day one and a question and answer session. You will be taught pedicure procedures and the supporting massage techniques. In the afternoon there will be nail art demonstrations and you will learn the basis of freehand nail art and have the opportunity to get creative with your own designs. Cost – £295.00 – Two day course with home study. *Professional product kits are available to purchase.